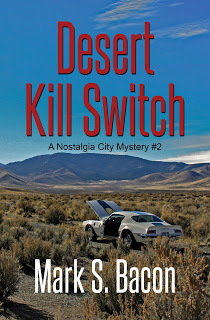 Mark S. Bacon’s new book is Desert Kill Switch. Bacon began his career as a southern California newspaper police reporter, one of his crime stories becoming key evidence in a murder case that spanned decades. I’ve always wanted to be a writer. I considered it the hardest work I could do reasonably well. I started my career as a newspaper reporter. I then went on to advertising copywriting, creating TV and radio commercials. Later I spent a good deal of time writing direct response advertising. And as many professional writers probably do, I pondered writing a book. My first books were nonfiction business titles. When my first book came out, my publisher in New York called me an “author.” I’d always thought that title belonged to people like Dickens, Twain or Faulkner, but if you write a book, your publisher calls you an author. Now I’m an honest-to-God mystery writer—I mean author. Me, I’m grateful for the opportunity to write and to be published. The work itself if the greatest reward and the greatest perk. Finding a publisher is generally monotonous. I sold my first book, however, by writing a query letter to three New York publishers. One of them liked my idea for a book on business writing and paid me an advance to write it. The rest has not been that easy. 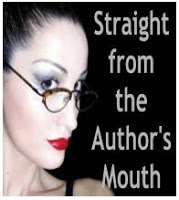 Fiction is much harder to get published than nonfiction for a variety of reasons. You write to agents. You write to publishers. You send outlines, sample chapters, marketing ideas. Over and over. The fact I’d published business books—that sold very well—with a big NYC publisher didn’t seem to persuade many publishers to read my novel. Eventually two publishers were interested and picked one. Black Opal Books has published my first two Nostalgia City mysteries and a third is in the works. Not really an issue. I’ve always been a writer, working for others or myself. My wife is very supportive of my work, always has been. She works. I work. We pay the rent. This is for pet lovers. Do your pets actually get their food on time or do they have to wait until you type just one more word? Yes, sometimes she has to wait. But Willow doesn’t have to wait too long. She’s a very understanding golden retriever who often lies next to me when I’m writing. Sometimes she thinks I need a break so she sits up and puts a paw on my lap. I always make time for her. Well, almost always. Boss, what boss? I’ve always been a full time writer. And now that I work at home, no boss to worry about. In the past, a boss (newspaper editor) could have been hounding me for a story as the deadline approached. At the ad agency where I worked, the boss didn’t usually growl about deadlines. I often had days, rather than hours to finish a job. I was doing a book signing for one of my mysteries when uniformed police officers raced into the bookstore and told everyone to stay inside and away from the windows. Then we heard shots. The police told the clerks to lock the doors and they ran back outside. Strangely, the store’s customers were more interested in dodging bullets than in getting my autograph, so the signing was suspended. Everyone stood huddled at the back of the store for more than one hour. Someone suggested I read aloud from my book to pass the time. Then someone else suggested we all just duck down behind the shelves. Two hours later it was all over. I learned from listening to the radio later that two people had an argument over a traffic crash. Each pulled out a gun and blazed away. Did I sell a lot of books? I don’t know. All I remember is the sound of the shots. Avoid a particular social network. That’s sort of a personal question. Naturally I don’t want to offend anyone. Twitter is good for making contacts and teasing out tidbits. Facebook is much better for telling a longer story, about yourself, your book or your genre. Pinterest is visual, Snapchat evanescent. Each has its place. How’s that for a politically correct social network statement? For fans of mysteries, or other literature genres, I don’t think you can beat following someone’s blog or website. 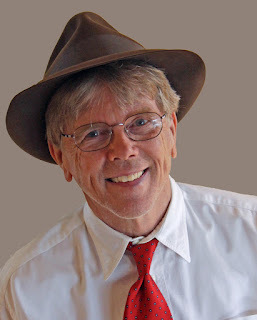 On my site I offer free sample chapters from my books, discuss behind-the-scenes issues in writing and publishing, display some of my flash fiction mysteries (complete stories in 100 words) and provide a space for readers to respond. Book sales. Don’t you just love them (or lack of)? How are you making the sales happen for you? Please don’t ask me where I get all my ideas or if I’ve heard from Hollywood yet. And unless you are related to me by blood—and there are exceptions for this, too—don’t ask for a free book. I love to write. I wrote my first story when I was in junior high. I’ve been a full-time writer ever since and have loved every moment of it….something for which I’m profoundly grateful.